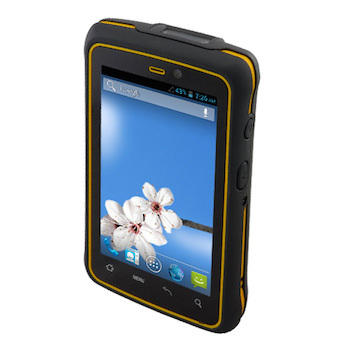 With its Android 4.2 platform and 3900mAh user replaceable battery capacity, E430RM4 (ARM® Cortex™-A7 Quad Core 1.5Ghz) handheld can support continual operation on the field without downtime. 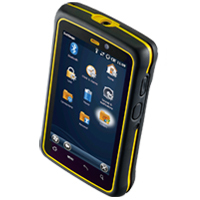 1D/2D scanner, RFID reader, dual cameras, and sunlight-readable 4.3-inch capacitive touchscreen, the E430RM4 rugged handheld streamlines data collection and operations in any field application. 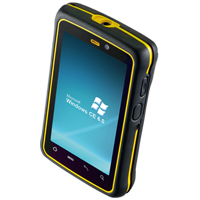 Lightweight and rugged, the E430T (Win CE 6.0) is an enterprise-ready handheld operating on Windows CE 6.0. With its advanced options for data collection, including 1D/2D scanners, HF RFID reader and 5.0MP rear camera – this handheld is ready to go to work in any environment. The E430T (WEH 6.5) offers robust data collection features, advanced communications options and powerful computing, all in an ultra-rugged, compact design. Featuring a brilliant 4.3-inch multi-touch screen, 1D/2D scanners and RFID readers, and Windows Embedded 6.5 the enterprise-ready handheld streamlines operations in any field application. To find out more about this product, or if you wish to discuss a new design or application, please contact us.